Garlic and pepper are well matched in this zesty all-purpose blend. A twist of lemon adds an unexpected—but welcome—touch. Use this salt-free blend to perk up everything from pasta to poultry. Use while cooking, or at the table. Use to season stir fries or baked potatoes. Mix with green salads or side salads (like pasta, chicken, tofu, or potato). Use for marinades for fish, poultry, tofu, meats, and vegetables. Rub or sprinkle on meats, fish, poultry, seafood, and tofu before cooking. 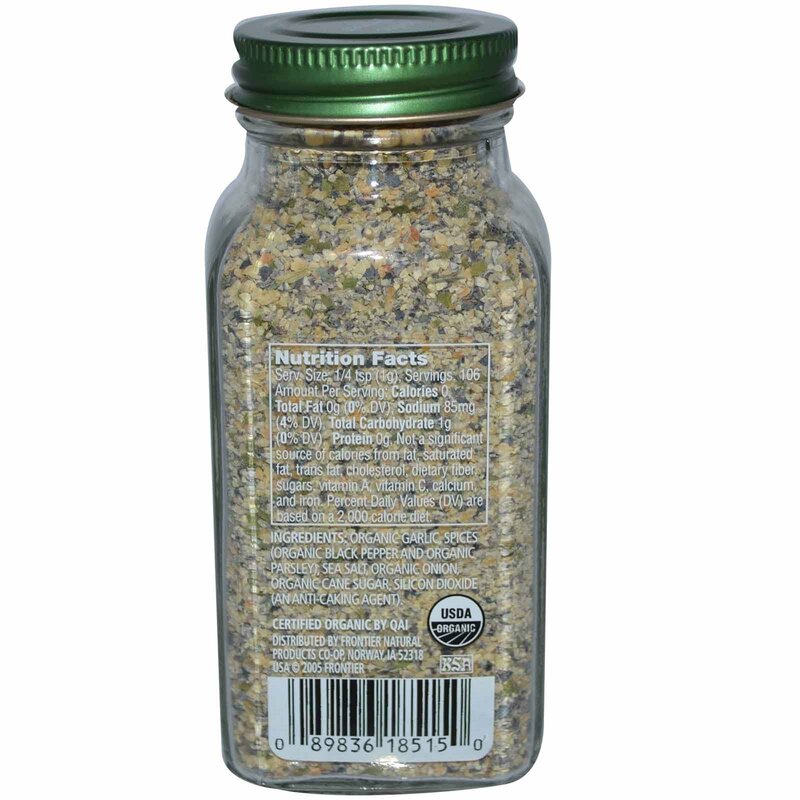 Use to season stuffings for mushrooms. Blend with softened butter or margarine; use on bread or steamed vegetables. 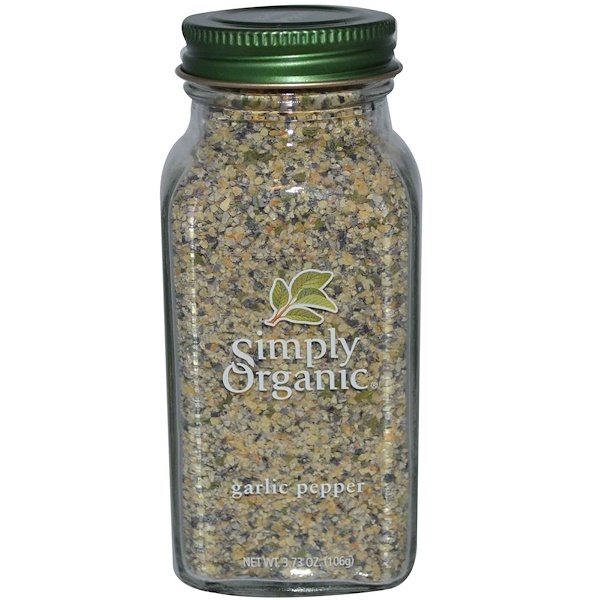 Add to sauces or gravies for meats, pastas, and vegetables. Use to season focaccia and breadsticks. Sprinkle on potatoes before roasting (toss with a little oil first, if desired), or on baked potatoes. Add to any soups, stews, or casseroles. Use to enhance grain or bean dishes. Use to create salad dressings; simply combine with oil and vinegar or a creamy base like plain yogurt and mayo. Shake on cottage cheese for simple but different side dish. Organic garlic, spices (organic black pepper and organic parsley), sea salt, organic onion, organic cane sugar, silicon dioxide (an anti-caking agent).